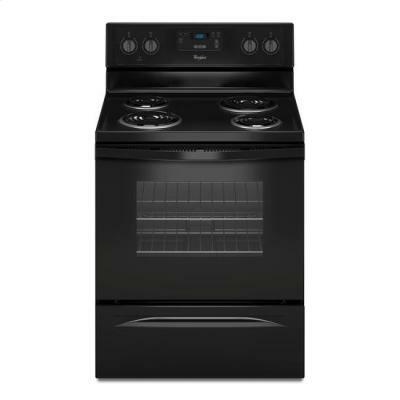 Save space without sacrificing functionality with this space-efficient electric range oven from Whirlpool. 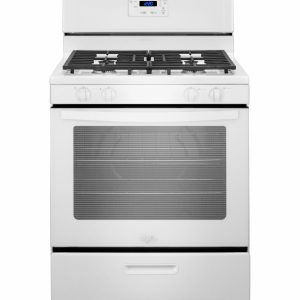 At less than 28″ depth, it fits snugly with most countertops without sticking out, yet still boasts a sizable 4.8 cu. 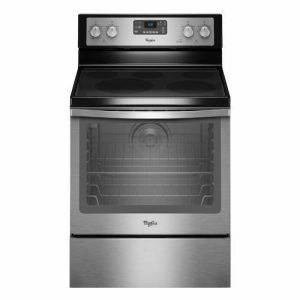 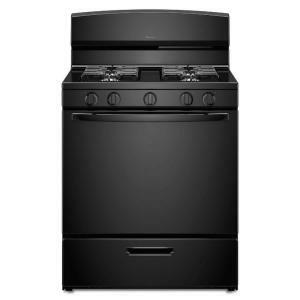 ft. oven – big enough for roasting a turkey or cooking multiple dishes at once. 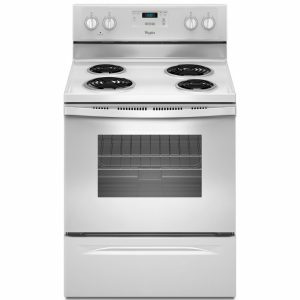 Built-in storage drawer frees up even more space in the kitchen, allowing you to store pots, pans or other cookware in the oven itself.